Resort living on 1.7 Acres with circular Driveway, Tennis Court, Outdoor Kitchen, Outdoor Living Room with Fireplace, Pool & Landscaped Gardens. Approx. 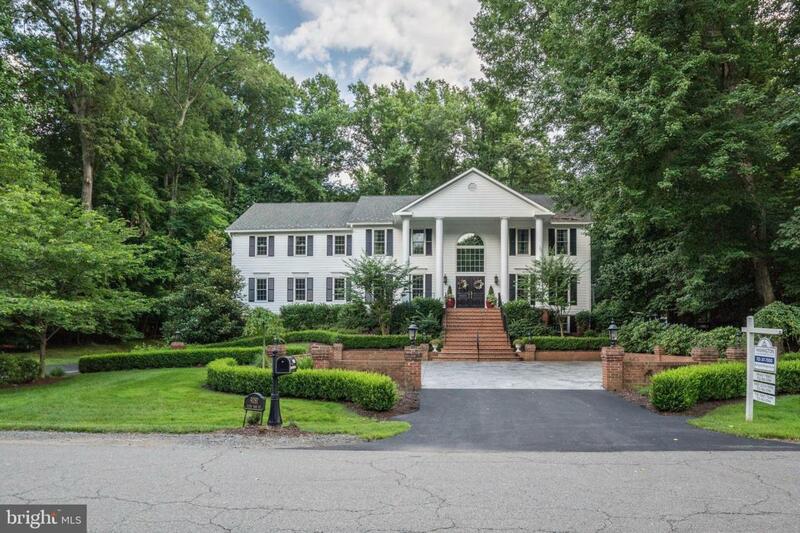 10,000 sq ft, large Formal Rooms, Custom Kitchen with 2 cooktops, 2 dishwashers & Grill, Breakfast Room, Family Room w/ skylights, vaulted ceilings & "Cyber" Bar. Main Level Bedroom, Master Bedroom w/ FP, Walk-In Closet, His & Hers Baths. 2 Laundry Areas 1 in Master Bedroom and on the Main Level ideally located for pool towels and guest laundry. Rec Rm w/ FP, Wine Cellar, Wet Bar & Bedroom. Whole House Generator. Walking distance to Riverbend Park.